This is a suitable opportunity for somebody looking for their first “Head Chef / Kitchen Manager ” appointment.<br><br>We are looking for a Kitchen Manager/ Head chef with a proven track record who has great leadership skills. As Kitchen Manager/ Head chef, you will have a real drive to exceed expectations. If you’re an enthusiastic Kitchen Manager/ Head chef who loves to lead a team and serve with passion & pride then we would love to hear from you.<br><br>THE ROLE...<br><br>Overseeing food ordering<br>Food preparation<br>Delivery of operations<br>Managing a team<br>Stock control<br>Conforming at all times with health and hygiene regulations<br>Dedicating time to develop your team using our tailored development framework<br>You’ll train, motivate and inspire your team to deliver an efficient food operation and be responsible for the kitchen’s financial performance which can lead to attractive rewards.<br><br>LIVE IN ACCOMMODATION...<br>This position comes with the added optional benefit of 1 bedroom accommodation.<br><br>WHAT WE CAN OFFER YOU...<br><br>Holiday<br>Career progression<br>Cycle to work scheme<br>Childcare vouchers scheme<br>Share incentive scheme<br>High-street retail vouchers and discounts <br>33% off all Mitchells and Butlers businesses when you eat!<br>If you think you’re up for the challenge of this role we’d love to hear from you!<br><br>ABOUT US<br>It’s a home away from home, with all the benefits of a traditional pub. At Ember Inns, our teams love making our guests feel welcomed from the moment you enter. Our attention to every detail extends to the food we serve. The best ingredients are accompanied with the best service to bring the experience to life. Your career can flourish in the same way here, from the offset you’ll join a close-knit team eager to achieve and eager to please. <br><br><br><br>For those applicants without their own transport – you must ensure that you are able to travel to and from work at the required times of the job role.<br><br>Please Note: Due to volumes of applicants, our vacancies can close early. Make sure you get your applications in as soon as possible to avoid disappointment!<br><br>As we have many different successful brands, we have both Kitchen Manager and Head Chef job titles. The job title varies depending on the brand, however the role responsibilities and job description is the same for both. 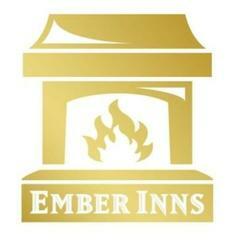 King William IV, Ember Inns is posting their hospitality jobs on Harri.